The Old Roan Association provides a club house and sports facilities for all staff, ex-pupils and older students. Former pupils and staff of the Roan Schools for Boys and Girls continue to have a real interest in the School, providing work experience, advice and sometimes employment for our young people. Five or six football and cricket teams are run which offer opportunities for school pupils to play at club level. Pupils generally begin playing for Old Roan teams from Year 10 onwards. Full membership from the age of 16 is encouraged. The club is open on several evenings a week and at weekends. It is situated at the School Field on Kidbrooke Park Road. 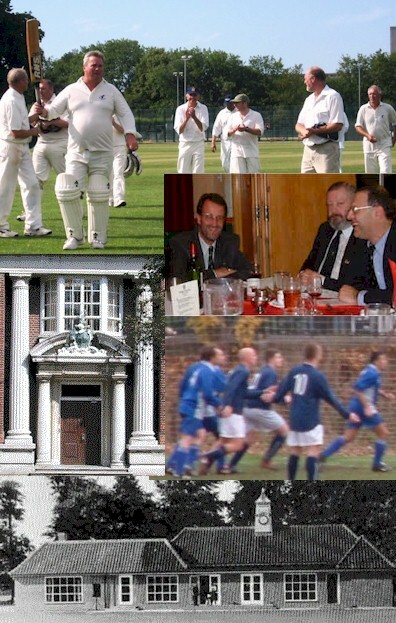 The Old Roan Association, Trustees and School representatives meet regularly to plan the maintenance and development of the playing fields at Kibrooke Park Road. Wider use by the community is also under discussion. Parents are also welcome at certain Old Roan functions and The John Roan Association frequently hold reunions, disco/barbecues and other events at the Clubhouse. CLICK HERE We are now on Facebook to encourage current along with all Ex Staff and Pupils to contribute to our community!